Instal-Life TV Guide You can connect to all of these channels with Instal-life. You can connect to all of these channels with Instal-life. WELCOME TO THE INSTAL-LIFE PROGRAM GUIDE. Connect our HD box to Wi-Fi for IPTV that gets you an EXTRA 30+ Christian Channels including: Believers Voice (BVOVN), Smile of a Child, JUCE TV, His Channel, Christian Broadcasting Network + News. WELCOME TO THE INSTAL-LIFE PROGRAM GUIDE. Instal-Life is committed to you by providing the highest quality Christian TV equipment and customer service. WELCOME TO THE INSTAL-LIFE PROGRAM GUIDE. 100% of Instal-Life profits support missions work including installing GOD TV into prisons, remote aboriginal communities and funding missionaries! Dr David Jeremiah - What If? Loading channel data. Please wait. One of the world's fastest-growing faith-based media organizations in the world - GOD TV - was founded in the UK in 1995 by Christian media pioneers Rory & Wendy Alec. Today the network beams a broad spectrum of international programming free-to-air from its global broadcast centre in Israel. The only Christian broadcaster to transmit from Jerusalem to the nations of the world, GOD TV’s powerful signal is carried via multiple satellites into 150 million connected television homes. This represents a potential viewing audience of half a billion people who can watch 24-hours-a-day. 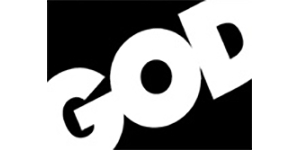 GOD TV maintains studios in the UK, USA and Israel, as well as regional outreach offices in England, Germany, Denmark; South Africa, India, Hong Kong and Florida. The network’s central office is situated in Washington, DC. GOD TV also finances upliftment projects in developing countries through its charity arm, Angel Aid. What’s dished up? Daystar Television Network has a singular goal - to reach souls with the good news of Jesus Christ. They seek their every available means of distribution to a world in need of hope. With an extensive blend of interdenominational and multi-cultural programming, Daystar is committed to providing quality television that will reach viewers, refresh their lives, and renew their hearts. What’s dished up? The journey of faith began in 1987 when a vision was birthed to see a Christian based television channel established in Australia. What began as a impossible dream became a reality on Easter Sunday 1999, when ACCTV commenced a 24-hour broadcast on Optus Television. "Praise the Lord" is TBN's flagship program and the only two-hour Christian talk show and entertainment program in the world presented completely live. The show features interviews with a variety of high-powered guests, ranging from well-known celebrities to popular authors and speakers, as well as singers, musicians and evangelists. TBN has five major studios across the U.S. and airs revivals and crusades from around the world. TBN has been on air for more than 30 years and seeks to offer a variety of programming including, news, current affairs, movies, documentaries, and also diverse ministry programs. What’s dished up? INI targets the millions who embrace inspirational values. It features original music programs, children's shows, teen programs, and a variety of respected ministry programming. Since 1990, INI has provided inspirational programming with true diversity and ethnic balance. What’s dished up? The SonLife Broadcasting Network is a Christian multi-media network, which includes Television, Radio and Internet broadcasts. An outreach of Jimmy Swaggart Ministries, this network offers a variety of live and prerecorded programs, specializing in music and teaching, that appeal to audiences of all generations and backgrounds. The line-up is comprised of music, talk-shows, live Church services, studio programs, youth programs, children’s programs and much, much more. Jimmy Swaggart Ministries has not only had an impact in the United States in the last 50 years, but as well, has an international reach that still continues to this day. Today “The Word Network” is the largest African-American religious network in the world. The Word Network offers a wide variety of ministries including, Bishop TD Jakes, Bishop Charles H. Ellis III, Bishop Noel Jones, Dr. Mark Chironna, Pastor R.A. Vernon, Paula White, Joyce Meyer, Benny Hinn and Joseph Prince. The Word network recognizes that music is a large part of the Christian experience, and offers a stellar line up of gospel artist, interviews, videos and musical specials featuring artists such as Marvin Sapp, Kirk Franklin, Mary Mary, Donnie McClurkin, Hezekiah Walker, J Moss, Deitrick Haddon, CeCe Winans and Byron Cage, and newcomers such as Wess Morgan and VaShawn Mitchell, to name just a few. “The Word Network” has been front and center providing live coverage from major events to millions of homes worldwide broadcasting major national conventions and conferences including the Full Gospel Baptist Church Fellowship, Pentecostal Assemblies of the World Inc, The Church of God in Christ Holy Convocation from St. Louis, Missouri, The Pastors & Church Leaders Conference from Detroit, MI, International Faith Conference with Dr. Bill Winston, Watch Night Service with Dr. E. Dewey Smith, 7 Last Words with Dr. Jamal Bryant, Strategies Conference with Bishop I.V. Hilliard and The Full Gospel Baptist Church Fellowship International Conference from Atlanta, Georgia. Angel TV is an international media group, reaching the world with positive, well-balanced Christian lifestyle programming. Angel TV is available worldwide via satellite. Angel TV’s lineup features 95% original and exclusive programming, combining talk shows, dramas, movies, family issues, biblical teachings, music videos, and children’s programmes in a unique style. Our programmes are designed to appeal to a multi-cultural audience in multi-languages. Three Angels Broadcasting Network (3ABN) is the “Mending Broken People Network,” a 24-hour Christian television and radio network. 3ABN’s focus is to present programming which will reach people right where they are hurting. 3ABN offers Bible-based programs on recovery from pain and addiction, cooking and health, programs that deal with children and family issues, gospel music programs, as well as a variety of inspirational themes from the Bible for children and adults. Amazing Discoveries™ is a non-profit organization whose mission is to expose deceptions and affirm truth in the areas of science and creation, current world events, Bible Prophecy, the music world, health and nutrition. Our variety of speakers provide uplifting, eye-opening presentations for your spiritual and educational edification. The Hope Channel is a Christian television network that seeks to bring everlasting hope to people around the world. We believe true inner peace and contentment is found in Jesus Christ. Our programming is designed to help people experience the abundant life that Jesus promised in John 10:10. What’s dished up? As a catechetical network, teaching the faith as given by the Magisterium, EWTN brings the truth and beauty of the Catholic Church to the world through its live talk shows, special events, teaching series, documentaries and dramas and devotions. Unlike many electronic churches on the airwaves which tend to weaken or supplant an individual's connection to their local church, EWTN seeks to supplement the pastoral efforts of local Catholic churches while affirming the unity of the universal Catholic Church: her beauty, her Sacraments, her Traditions, and the gifts of her people. Evangelist Steve Hill looks at the healing power of God. Leo Bigger talks on Run your Race where believers are all loved, created by God with different talents and abilities and stay focused on their own race, no comparing, as this will disqualify one. Author, Francis Chan speaks on Rejoicing in Suffering suggesting believers should see suffering in the same way Jesus and His disciples did. Hosted by Mike Bickle at the International House of prayer. With Guillermo Maldonado, leader of King Jesus Ministry in Miami, FL part of a network of churches in the USA and Latin America. Dave Stotts looks at the events of the Ancient World history, it's people and places, and how those civilizations and the Christian faith shaped Western Civilization and the world we live in today. Highlights and interviews from the One People Evening Commission Celebration, presented by Fergus Scarfe with guests, including Steve Clifford, Pastor Yemi Adedeji and Pastor Nims Obunge. Duane Vander Klok of Resurrection Life Church in Michigan, USA helps viewers connect with God in their daily lives. CBN News looks at news and events in Israel and the Middle East from a Biblical world-view. Produced by the Christian Broadcasting Network and hosted by Jerusalem Bureau Chief, Chris Mitchell. Pastor Jerome Fernando of King's Revival Church in Sri Lanka has a vision to see people walk in God's blessing as they invade the impossible, bulldoze obstacles and see their destinies altered. Bill Johnson talks on Jesus coming to reveal the Father and goodness of God to His people, that nothing is impossible, everyone is significant and every victory is purchased at Calvary. Marketplace leader and author, Rich Marshall talk to Judge Robert Newsom, a friend and pastor to Ron Adkins, who sentenced him to prison. They give their account of a powerful story of forgiveness. Nathan Morris, of Shake The Nations is a British evangelist who has been on GOD TV since the Bay of the Holy Spirit Revival. Known for his passionate messages on the Blood of Jesus and the Cross. The late evangelist Oral Roberts was the first to televise God's healing power at work in 1955. Today his university ORU takes up his call to 'Go where the light is dim, and my voice is heard small'. Rabbi Jonathan Bernis, founder of Jewish Voice Ministries provides valuable insights into the Jewish roots of Christianity, Bible prophecy and world events surrounding Israel. Brooke Gilmour of Sonship International talks on Remember Me, sharing her testimony of remembering and trusting God always, holding onto His promises and being content in Him. Evangelist Reinhard Bonnke and Christ for all Nations present Lost at Sea, a dramatic film examining the Church's true mission as a pleasure cruise that is plunged into a life and death emergency. Todd White of Lifestyle Christianity shares on No Compromise giving examples of demonic possession caused by living a lifestyle that compromises christian values. Investigative reporter, Sid Roth, verifies the supernatural. Join the dynamic leadership and teaching of Dr. Creflo and Taffi Dollar. Pastor and New York Times best-selling author, Jentzen Franklin of Free Chapel Worship Centre in Georgia aims to help people encounter God through inspired worship and relevant Bible teaching. The pastor of First Baptist Church, Atlanta, Charles Stanley shares how to apply Biblical principles to daily life, drawing from his vast wealth of experience in a ministry that spans many years. The Founder of the Ankerberg Theological Research Institute, John Ankerberg is a leading Christian apologetics expert. He and his guests examine current issues providing balanced, Biblical answers. Led by John & Debbie Lindell, James River Church in Ozark, Missouri, loves to welcome people into God’s family, with the firm belief that there is no limit to what God can do in people’s lives. Known on Israeli TV for his messages in Hebrew, Dr Baruch Korman of the Zera Avraham Institute now presents biblically-based teachings on GOD TV with an emphasis on the Jewish context of scripture. Christian apologist and author, Ravi Zacharias explores core issues such as the meaning of life; credibility of the Bible; weakness of contemporary intellectual movements; and the uniqueness of Jesus. Patricia King hosts this fascinating new series that looks into the spiritual realm. Katie Souza is today's guest and the topic is Creative Miracles, with interviews, testimonies and teaching. Todd White of Lifestyle Christianity believes each person on earth has a specific purpose and immense value. In this documentary, he offers a glimpse into his own life, love for God and others. GOD TV's Regional Directors offer daily encouragement to viewers, respond to prayer requests and share scripture verses. With Fergus Scarfe, Marcel Olivier, Thomas Robinson, Wayne Knapman and others. Biblical scholar, Dr Michael L Brown of the FIRE School of Ministry hosts this exclusive new series which tackles controversies, engages with pop culture and challenges the status quo. GOD TV presents a daily devotional from Israel with Messianic pastor, Ron Cantor who helps viewers discover the Land of the Bible, its historic sites and explains scripture from a Jewish perspective. Five minutes of practical insights to help build stronger homes, from South African Evangelist and nation builder Angus Buchan of Shalom Ministries. Bill Winston of Living Word Christian Centre invites viewers to go deeper on their faith journey. His ministry is a solution-seeking outreach that embraces the Bible as the basis of existence. Teaching on God's unconditional love and grace from the founder of Andrew Wommack Ministries and Charis Bible College in Colorado. Apostle Edgar Holder in the Netherlands, Spijkenisse, with wife pastor Irma Holder from a ministry known worldwide for supernatural prayer meetings and power packed youth. Kenneth and Gloria Copeland and their guests share Biblical principles of how to live by faith and triumph in life. Kenneth Copeland Ministries operates worldwide under the banner, "Jesus is Lord'. Author and lecturer, Doug Kaufmann looks at the symptoms behind illness and allergies and suggests helpful cures. With input from top health professionals who discuss diet, exercise and supplements. Fascinating magazine series about Israel and Middle Eastern culture, hosted by the founder of Vision for Israel and the Joseph Storehouse, Barry Segal. Marketplace leader and author, Rich Marshall talks to his guest Nalla Sundarajan who shares about her passion of reaching young women in India for Christ. Today's topic is Grandparents - Grandmother, Julie Smith joins Marina Magdalena and the Mum Show hosts to explore the relational dynamics of grand parenting and it's role within the wider family. Patricia King shares on The Power of Love and why growing in love is so important for growing in the supernatural. It is time for God's people to take the 'love test' and move in miracle power. The founder of the International House of Prayer in Kansas City, Mike Bickle, urges viewers to grow in intimacy with God. IHOP-KC is the home of The Prayer Room - 24-hour intercession and worship. Hosts, Sue Eldridge, Chris Larkin, Marj Rossol and Alison Wilson discuss what 'Being Real' means. Nancy Goudie shares her journey of faith through grief and speaks about New Generation Music. The founder of Salvation Ministries (Home of Success) in Lagos, Nigeria, Pastor David Ibiyeomie explores the depths of God’s Word, helping viewers to go deeper in their Christian walk. One of today's most popular Bible teachers Joyce Meyer offers practical advice to help people walk in victory over every obstacle. An animated drama series for children aged 8-12 that combines the faith lessons parents appreciate with stories that kids love. A Focus on the Family Production, helping families thrive. This episode features a portion of the award winning documentary, Israel Indivisible. Dr Van Impe & his wife Rexella offer expert commentary on the latest fulfillments of Bible prophecy in line with today's headlines. With Guillermo Maldonado, apostolic leader of King Jesus Ministry in Miami, part of a church network in the USA & Latin America. The Pastor of Resurrection Life Church, in Michigan, USA, Duane Vander Klok helps viewers connect with God in their daily lives. An honest, soul searching look at being a mum in today’s world hosted by Marina Magdalena with child therapist, Emma Browne and Life Church leader, Clare Hooper. Today's topic is Identity. © 2019 Instal-Life TV Guide.